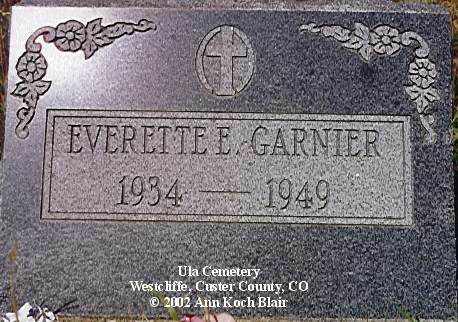 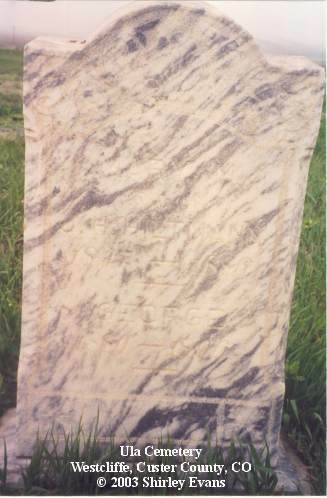 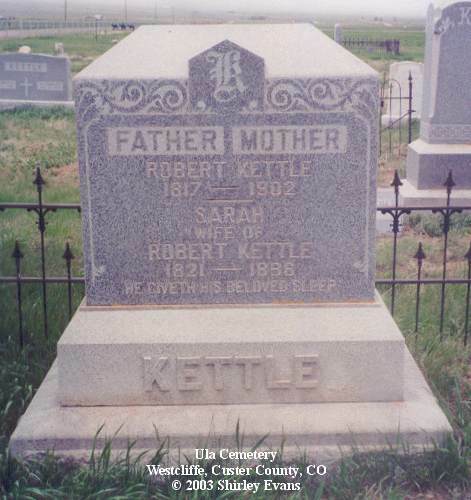 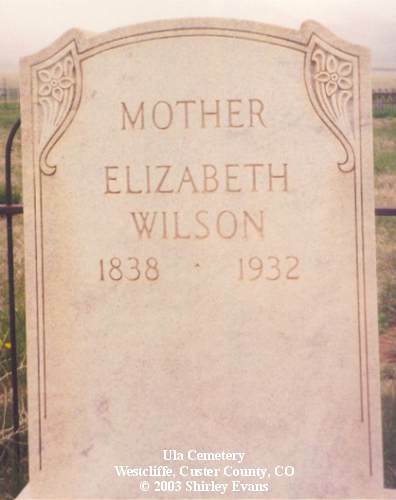 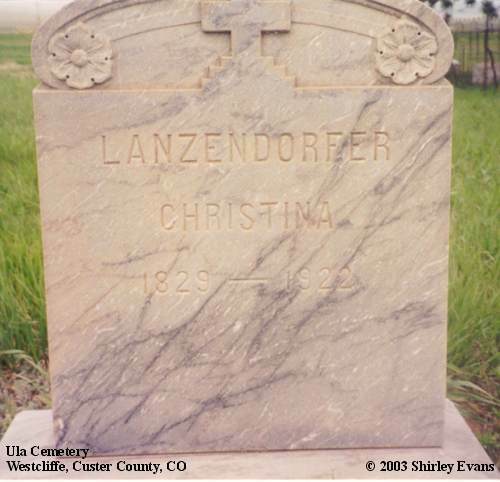 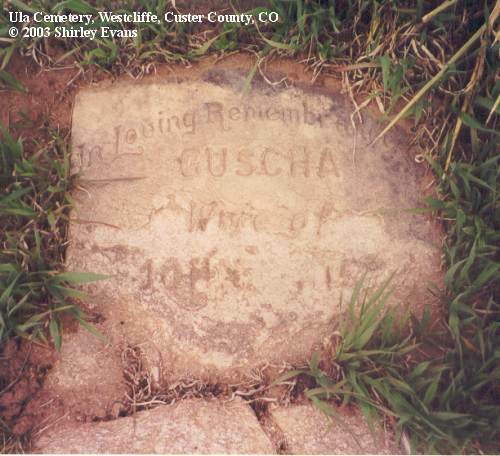 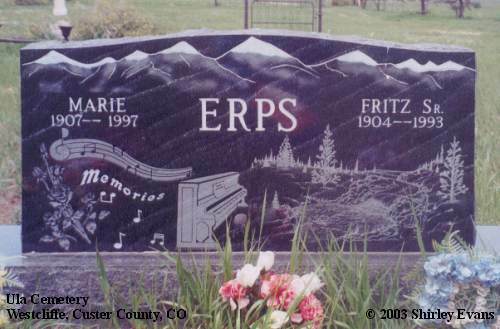 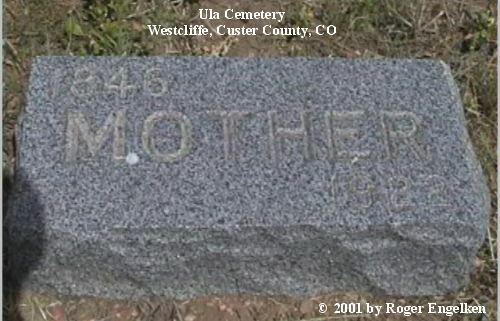 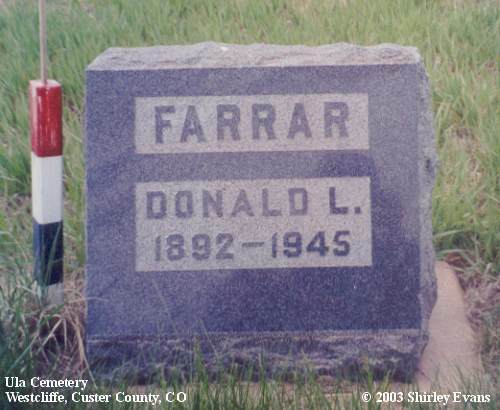 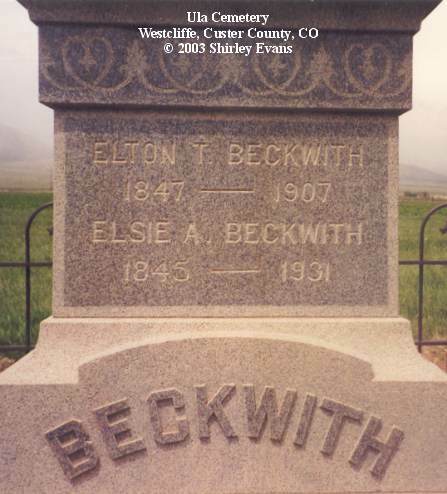 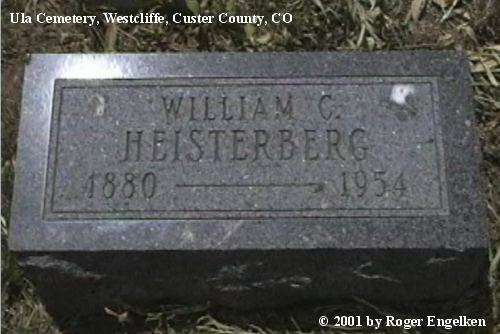 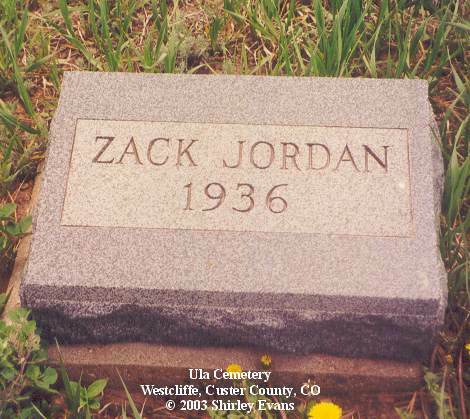 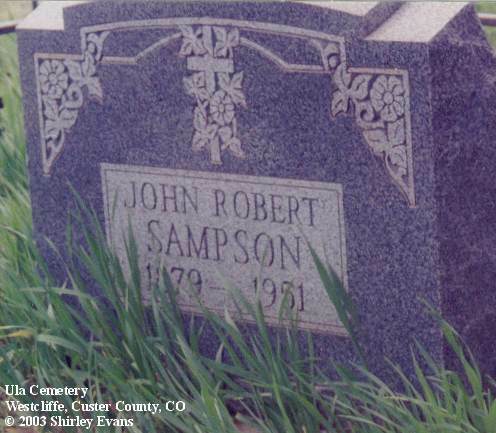 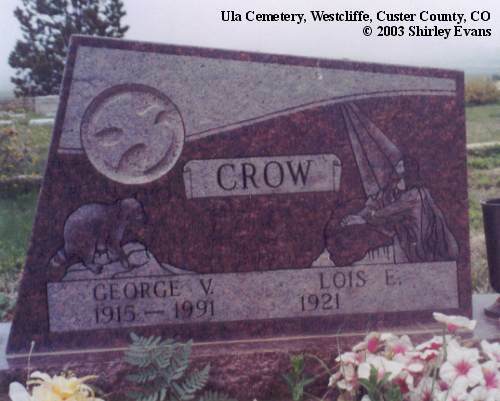 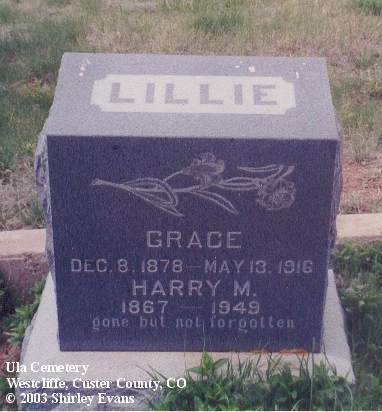 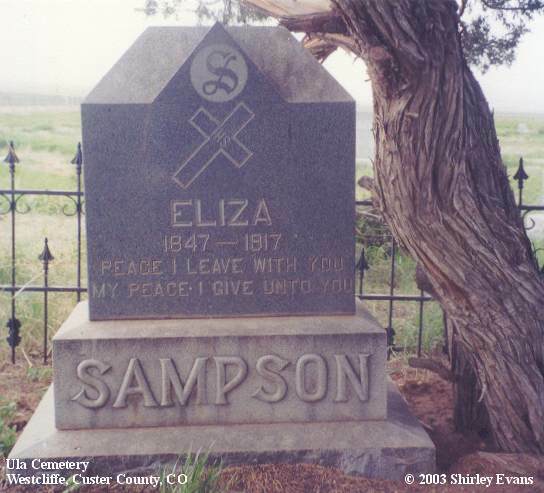 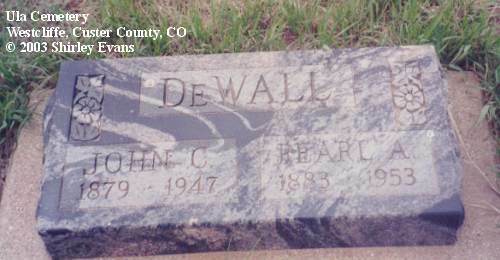 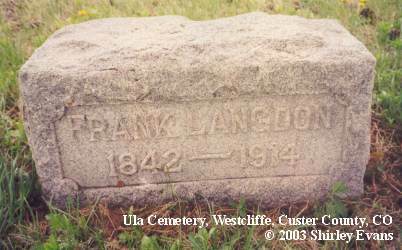 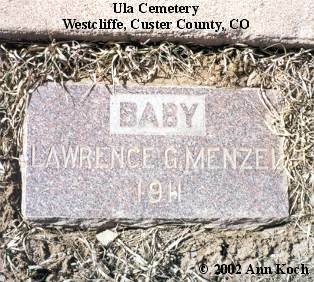 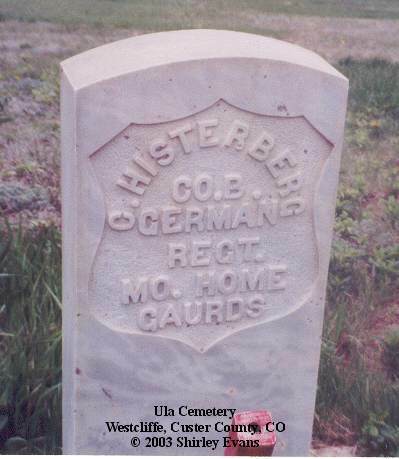 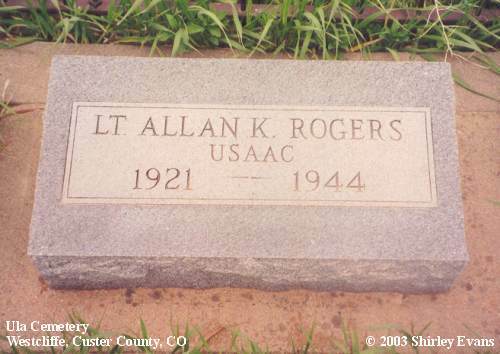 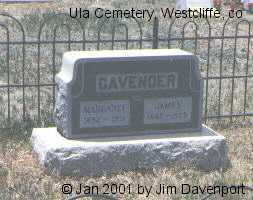 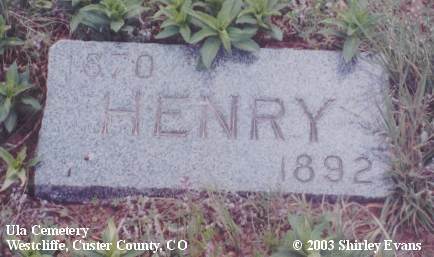 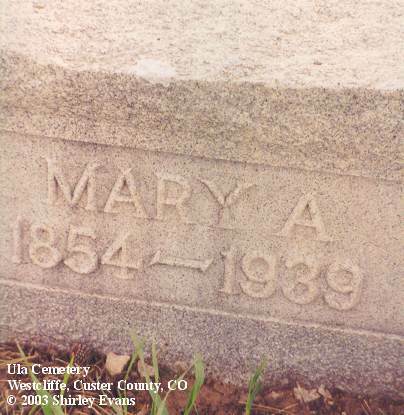 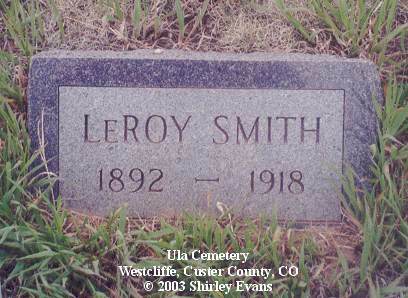 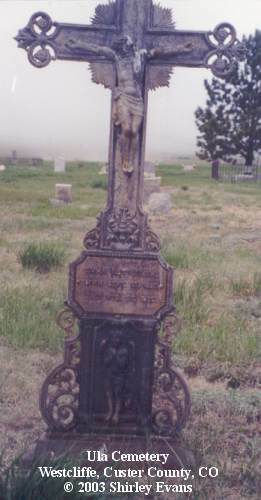 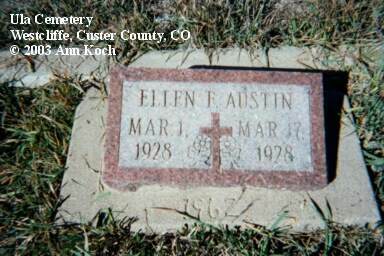 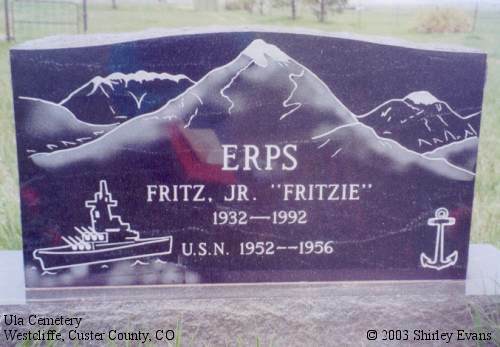 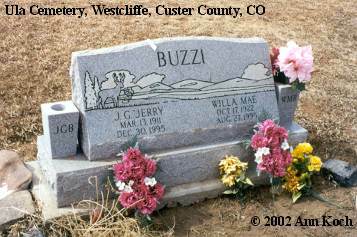 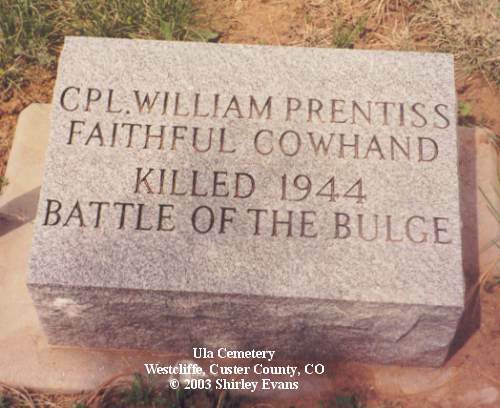 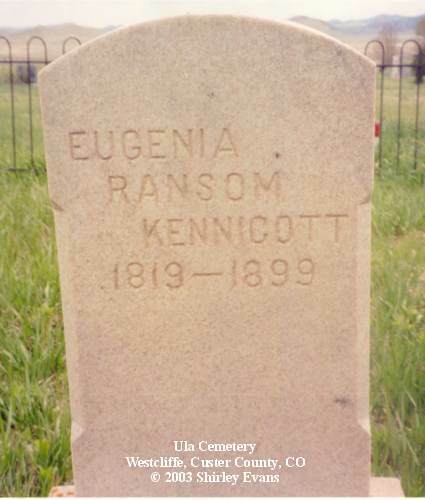 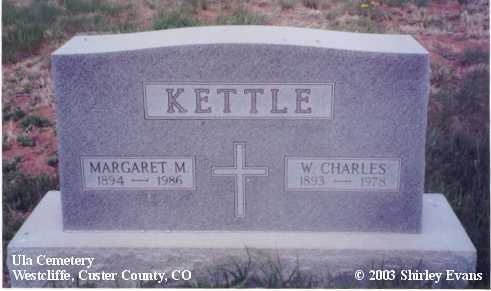 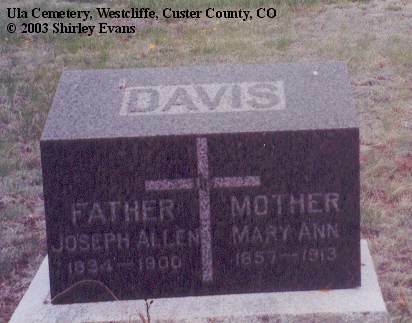 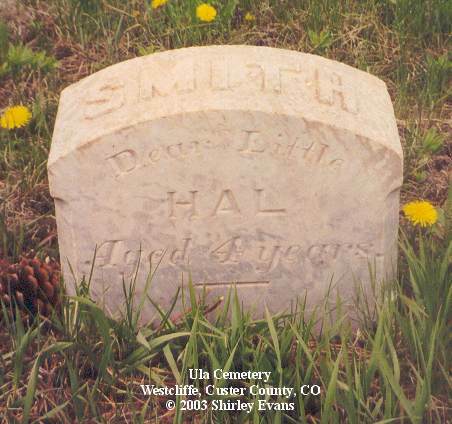 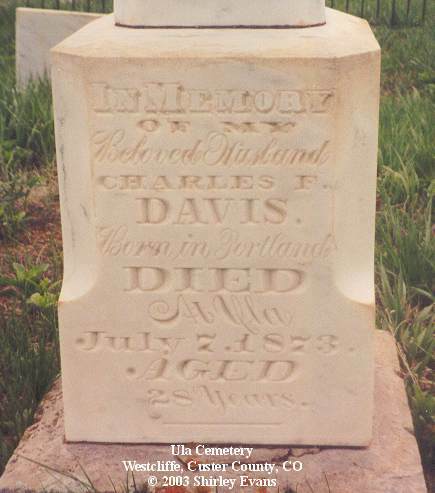 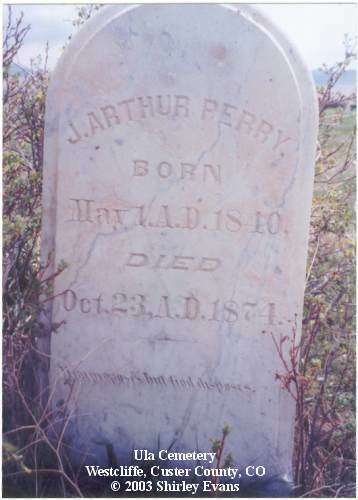 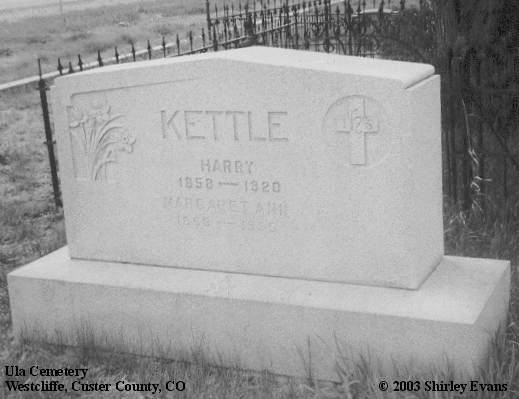 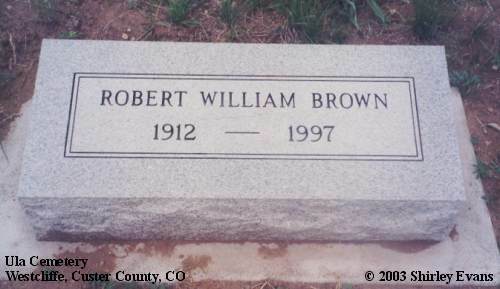 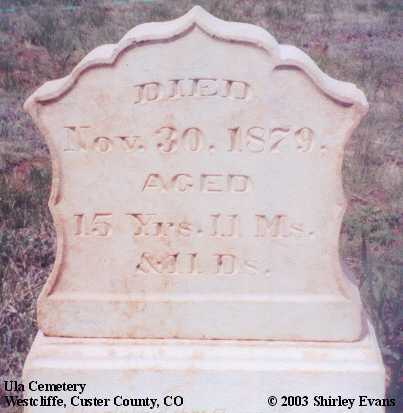 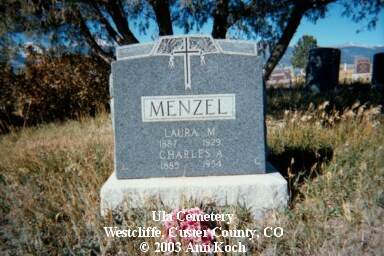 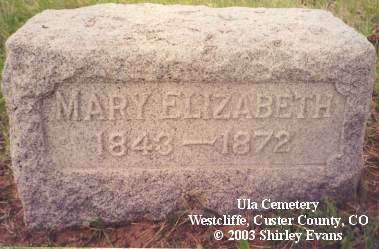 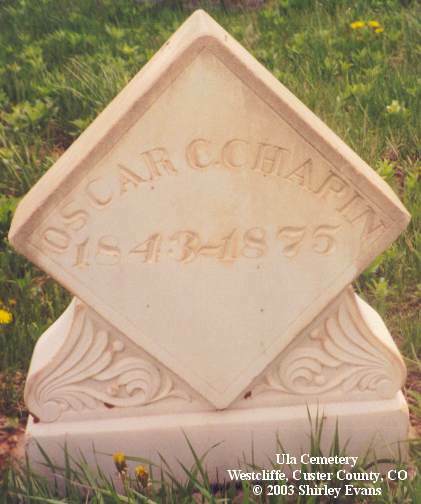 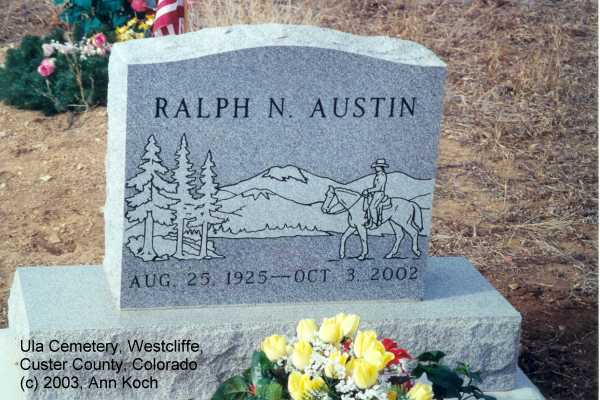 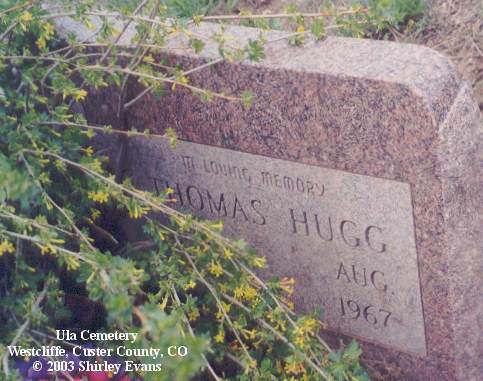 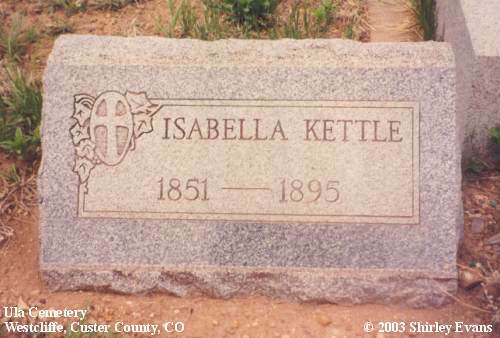 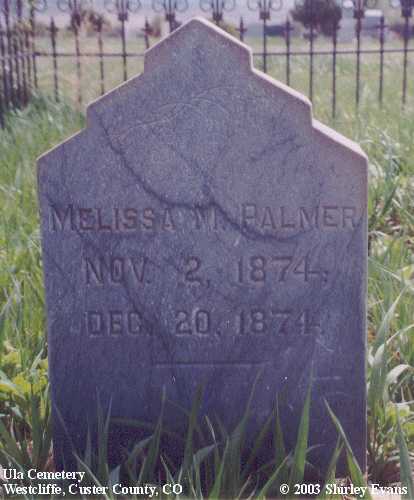 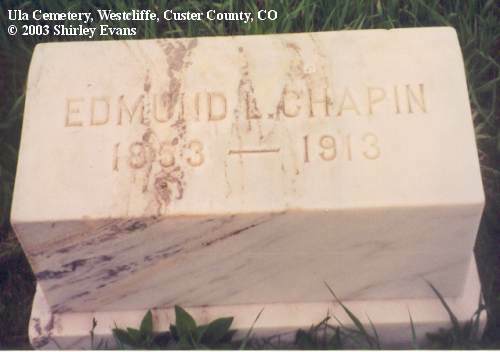 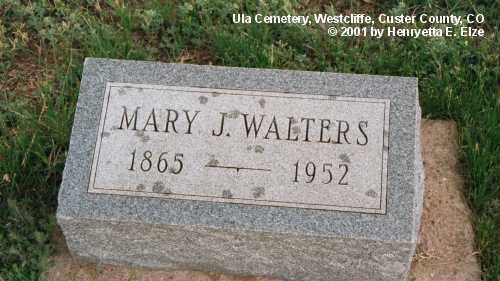 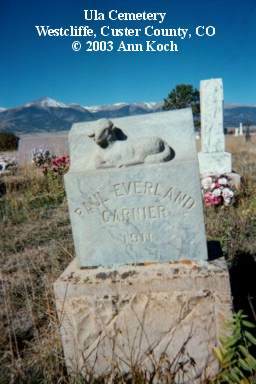 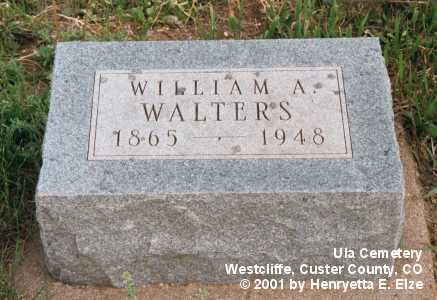 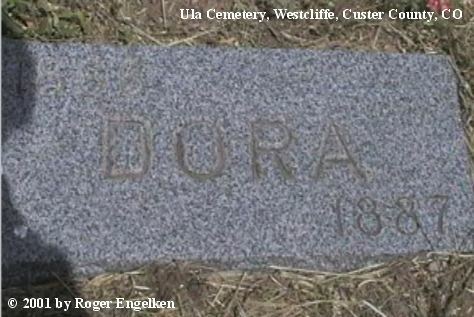 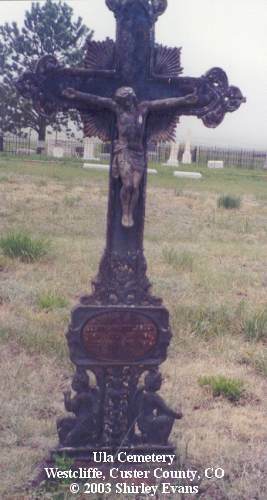 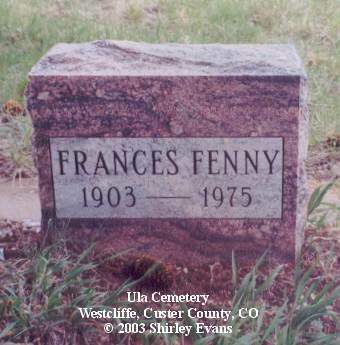 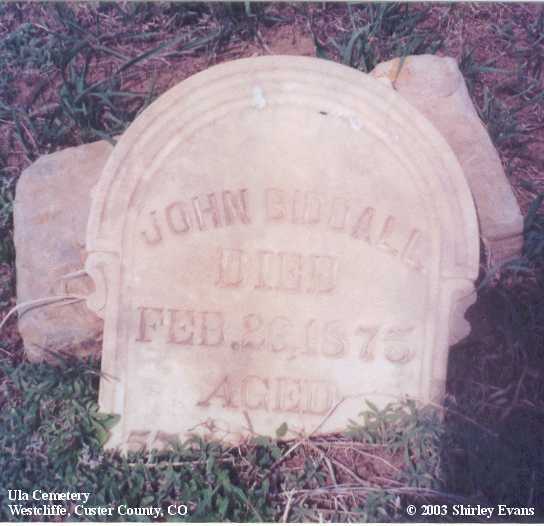 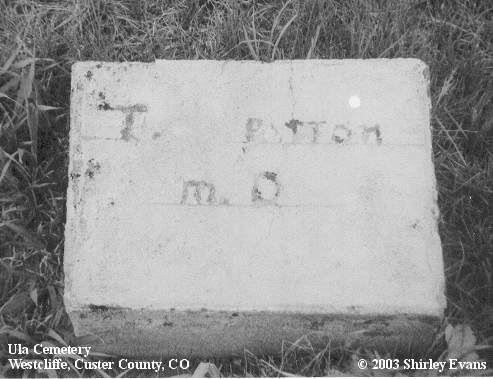 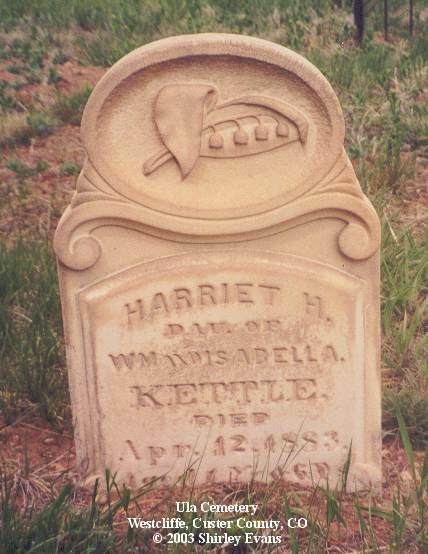 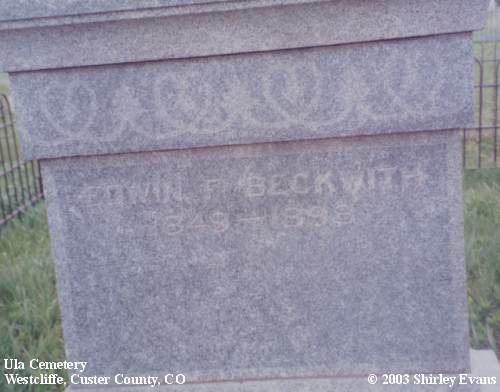 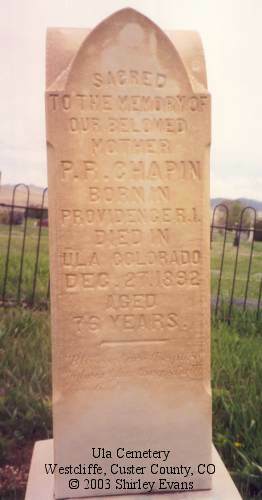 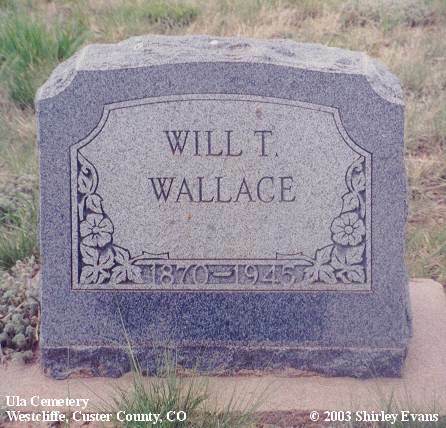 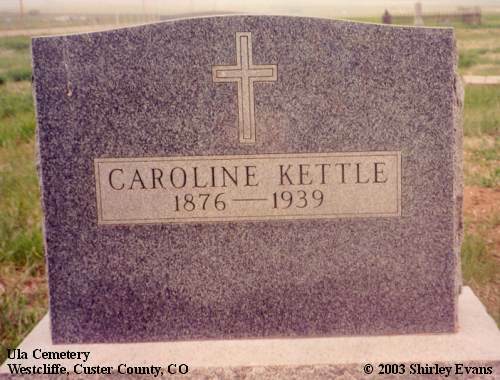 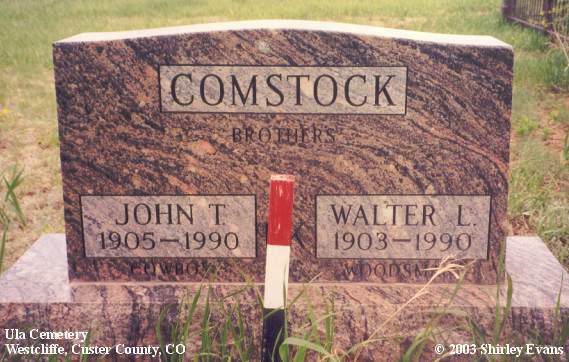 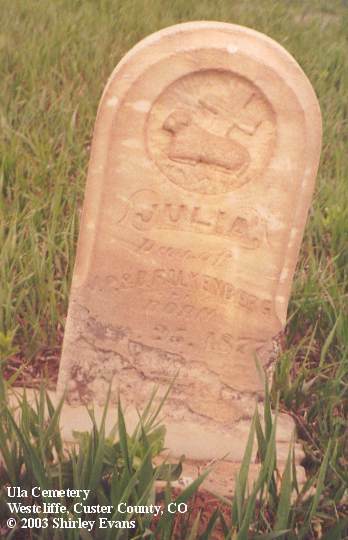 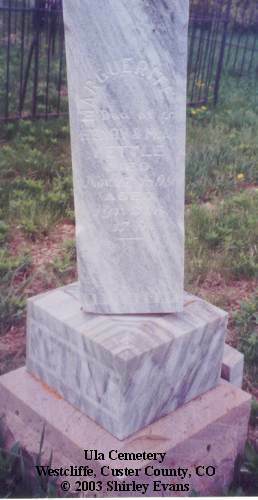 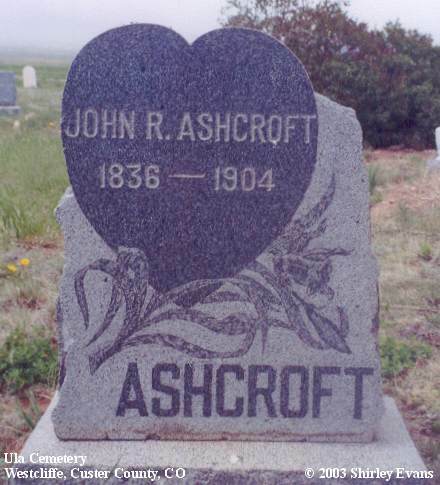 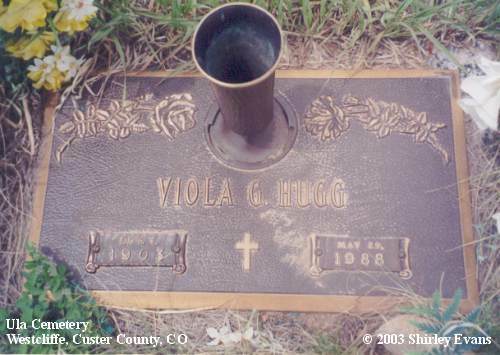 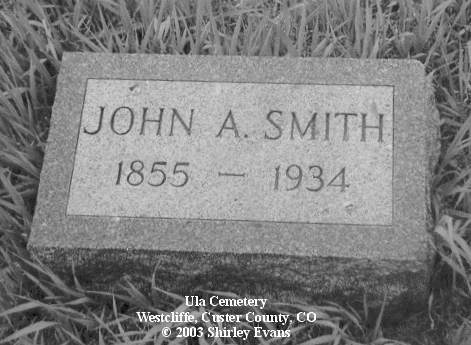 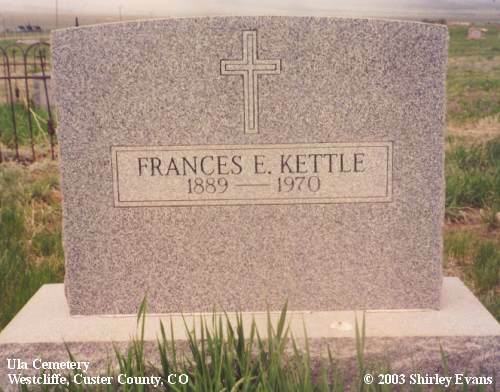 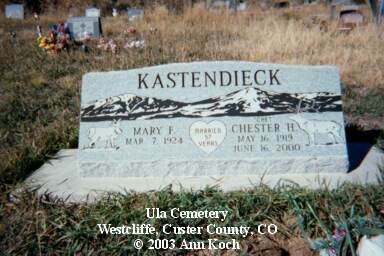 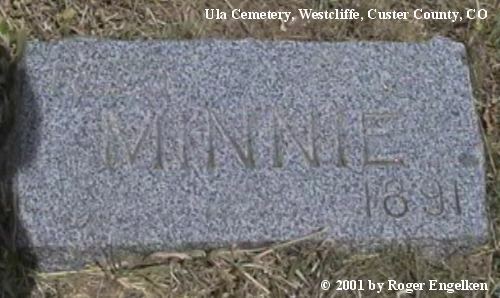 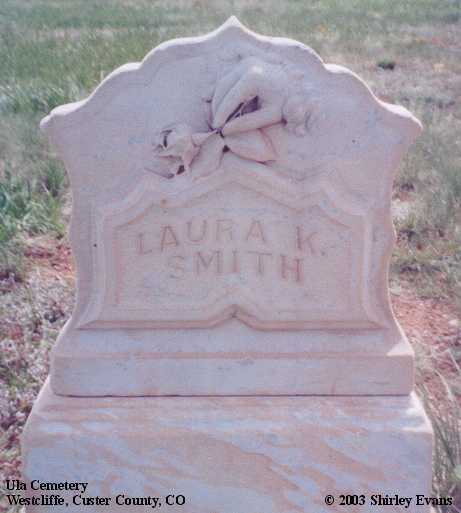 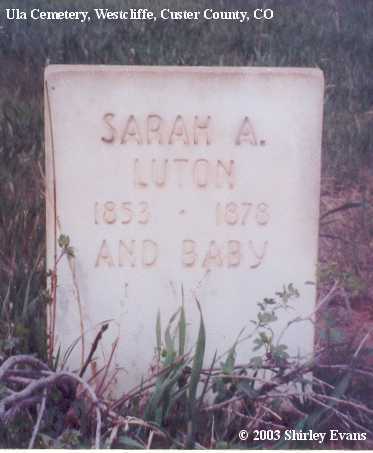 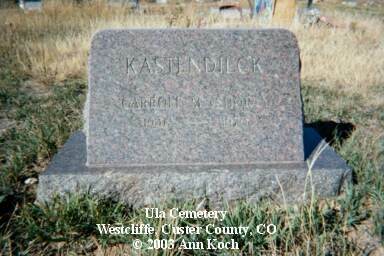 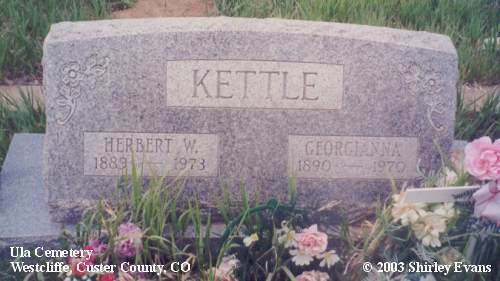 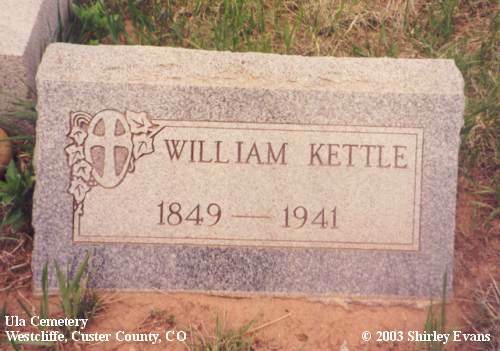 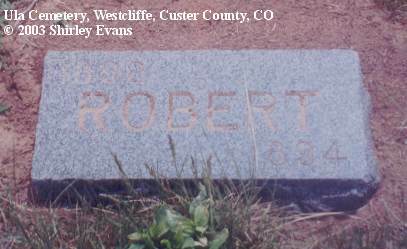 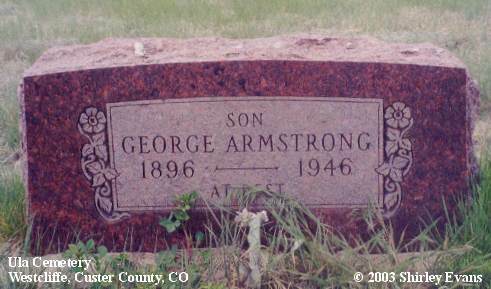 Ula Cemetery is located at 2091 County Road 170 just North of Westcliffe. 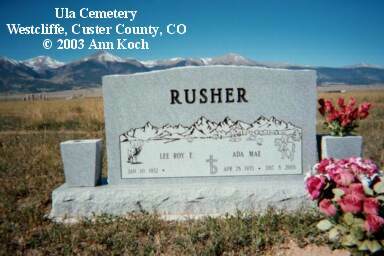 Directions from Main Street/CO-69, Westcliffe: turn right onto N 3rd Street/CO-69 0.1 miles, N 3rd Street/CO-69 becomes CO-69 0.5 miles, turn slight left onto Pines Road 1.6 miles, Ula Cemetery is on the right side of the road. 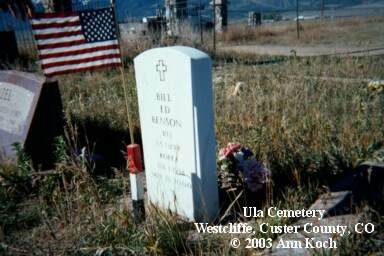 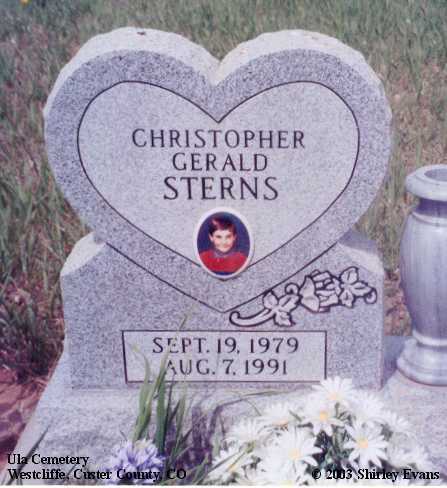 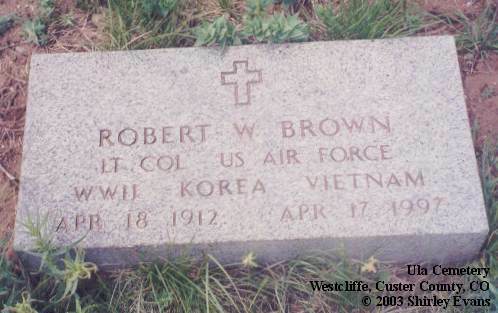 NOTE: A red, white, and blue stake at the grave site indecates a veteran burial whether or not the gravestone mentions military service. 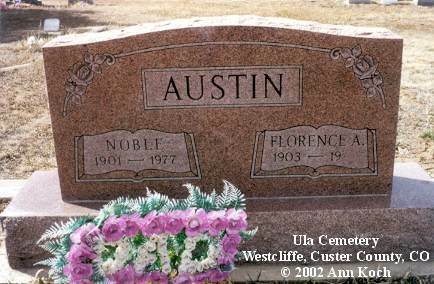 Noble was the son of Charles & Theresa Austin, born 27 Aug 1901, died 2 Jun 1977. 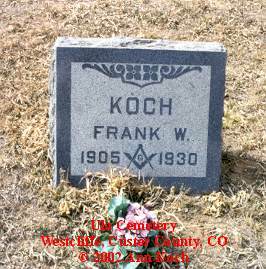 Florence was the daughter of Conrad & Mary Hannah (Topliss) Koch, born 7 Feb 1903, died 6 Sep 1999; married Noble Austin. 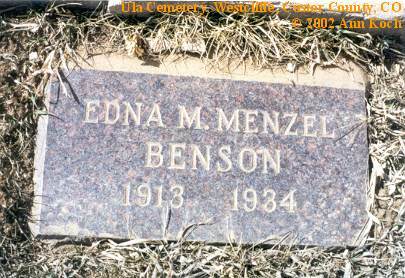 Edna M., daughter of Gustav Henry & Mary Elizabeth (Koch) Menzel, born 20 Oct 1913, died 6 Jul 1934; married Christy Benson (b. 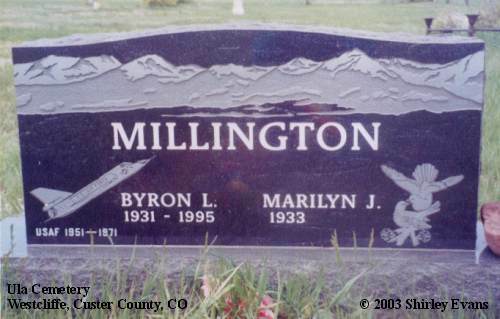 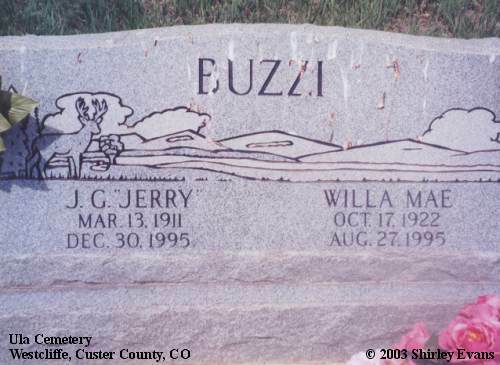 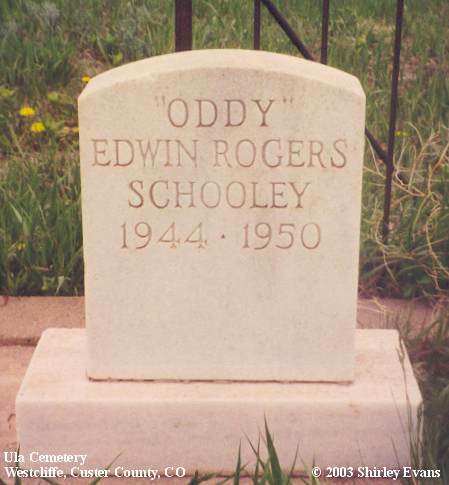 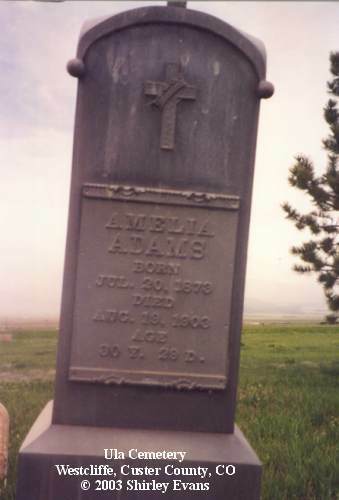 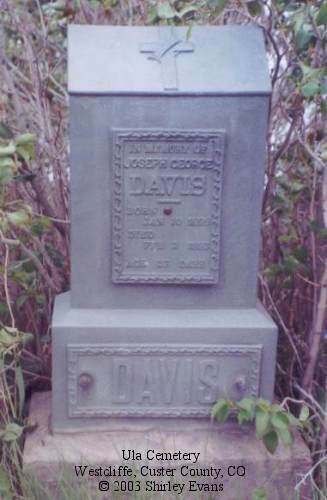 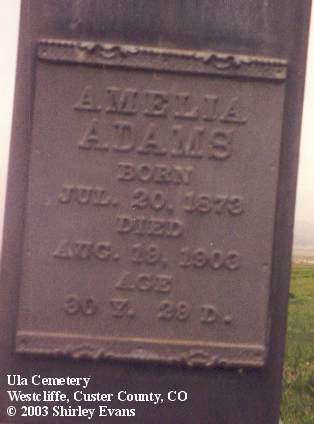 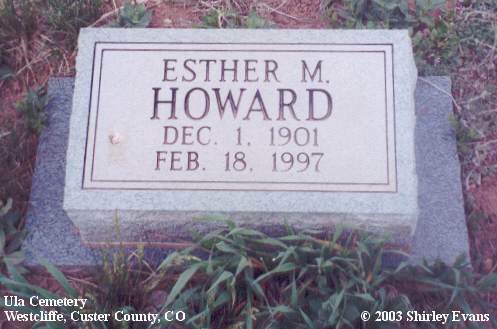 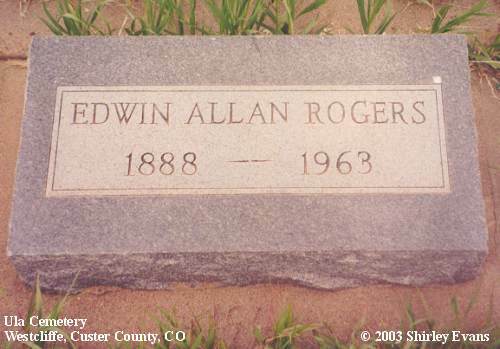 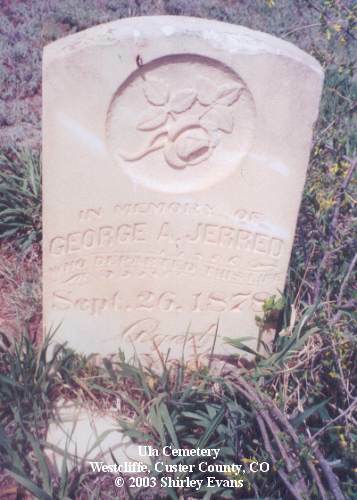 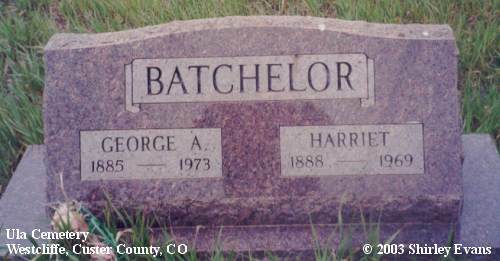 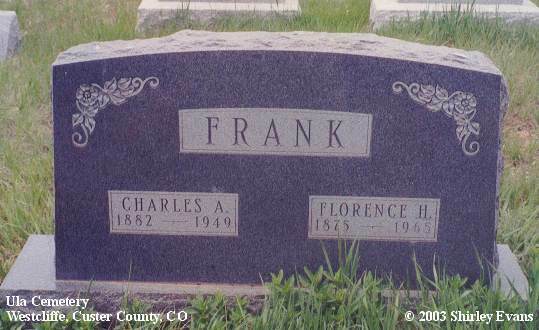 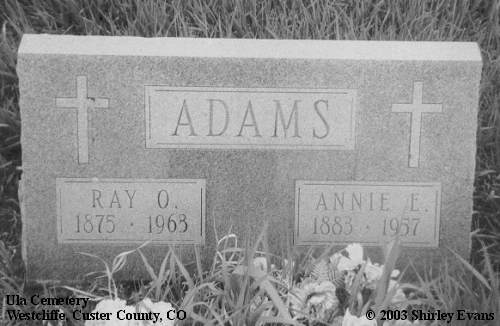 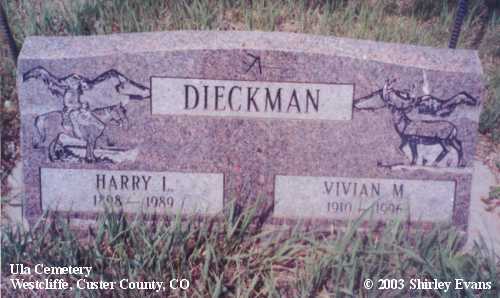 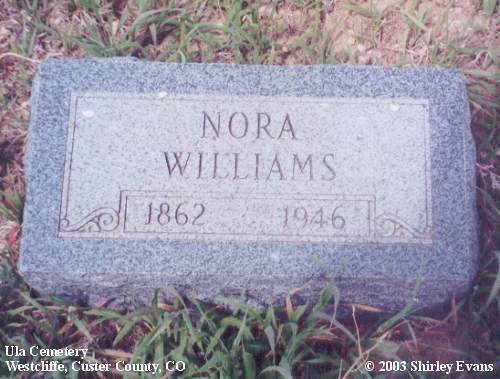 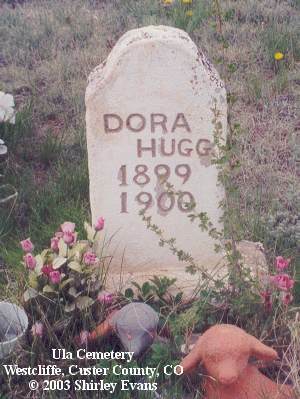 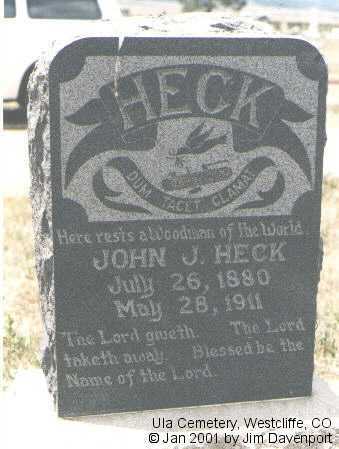 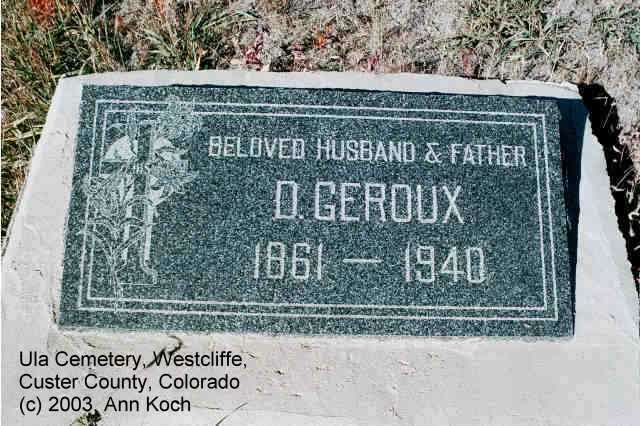 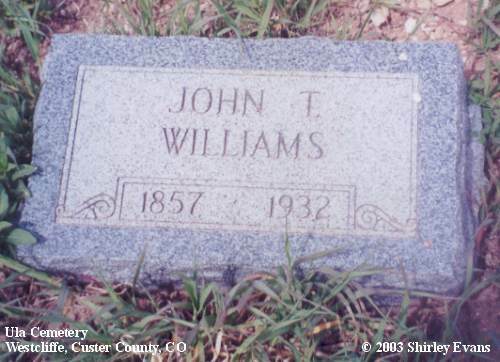 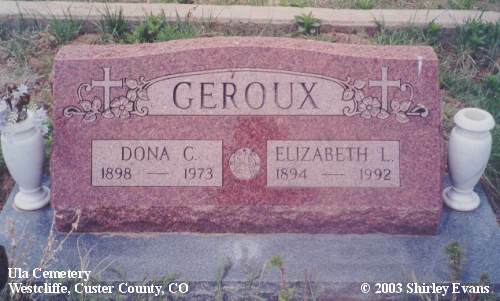 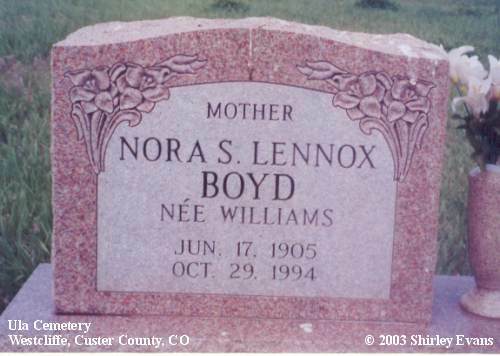 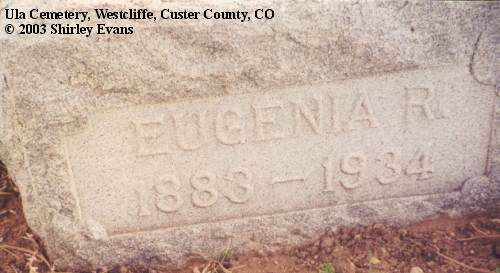 5 Jul 1908, d. 4 Dec 1977, buried Yuma, AZ; remarried after Edna's death). 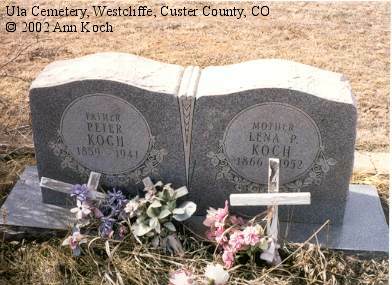 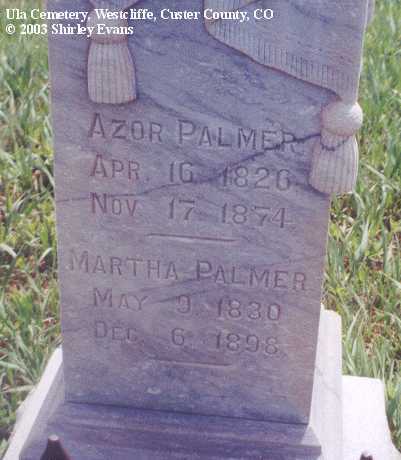 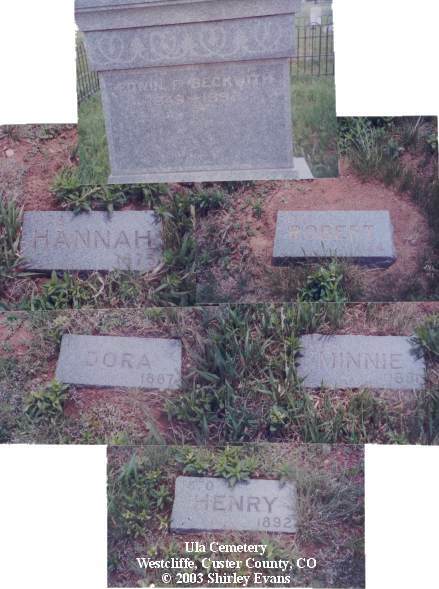 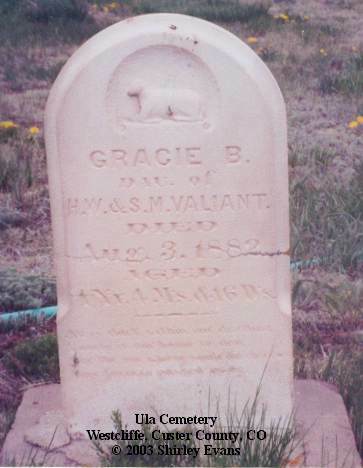 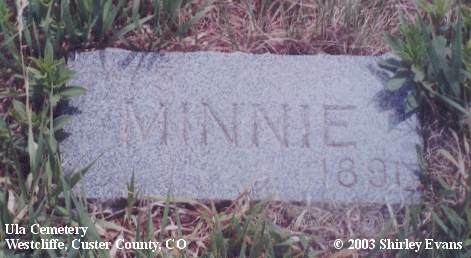 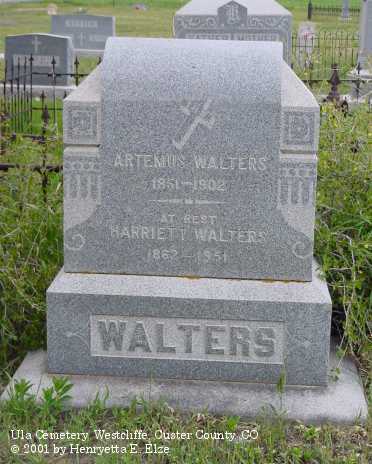 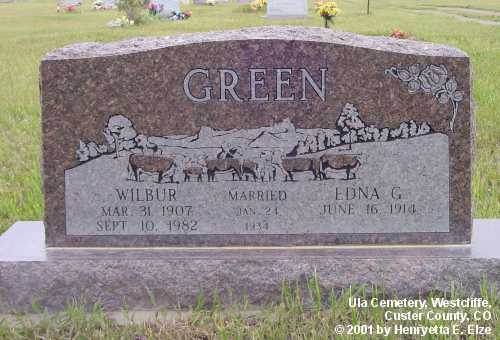 Willa Mae was the daughter of Helmuth & Esther (Cody) Koch. 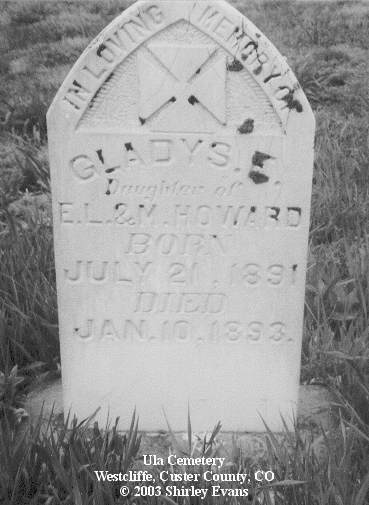 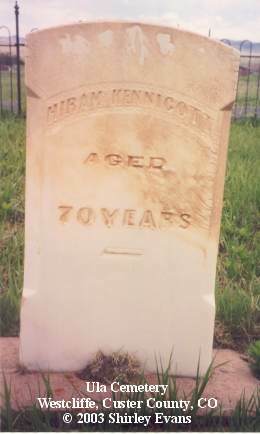 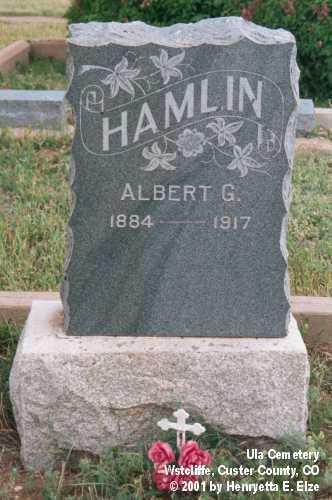 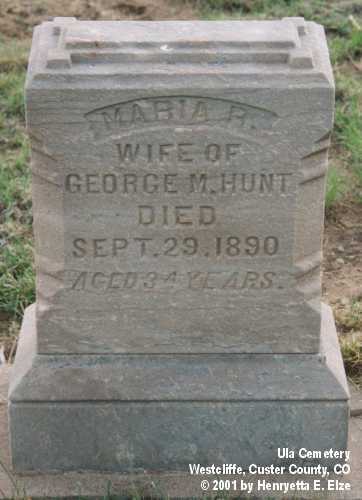 Edna G. Hunt married Wilbur Green in Colorado Springs, El Paso County, CO.
Father of Geneva Hamlin Hunt, husband of Mary Jane Hamilton. 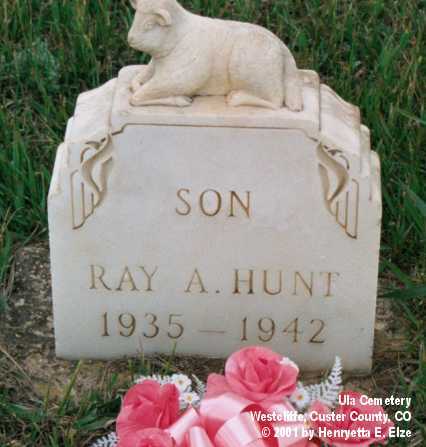 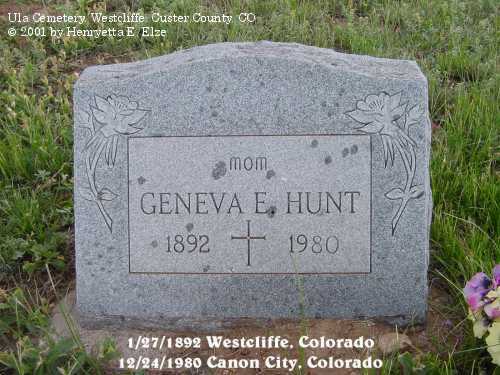 § Geneva E. Hunt was born 1/27/1892 in Westcliffe, Custer County, Colorado and died 12/24/1980 in Canon City, Fremont County, Colorado. 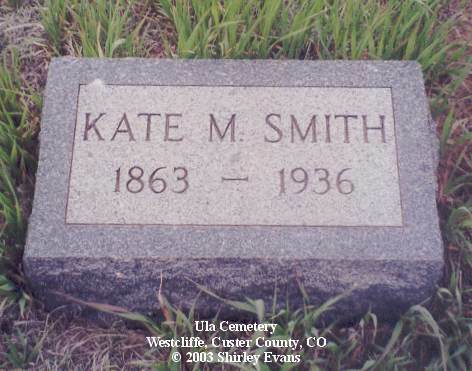 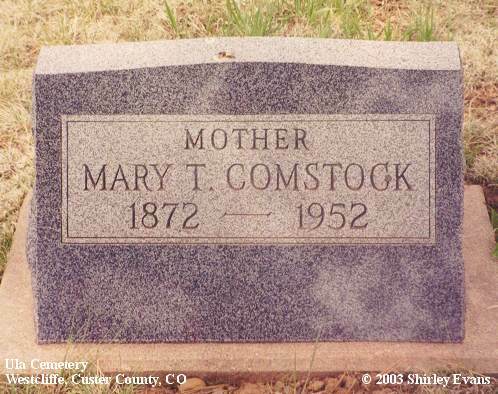 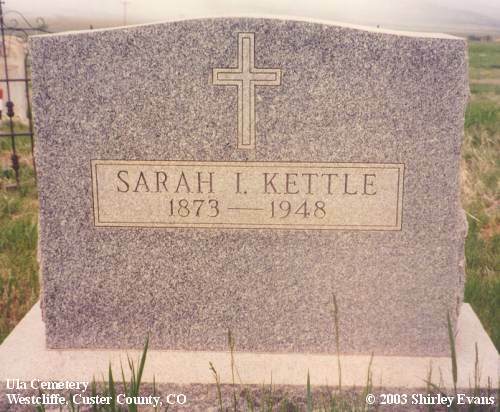 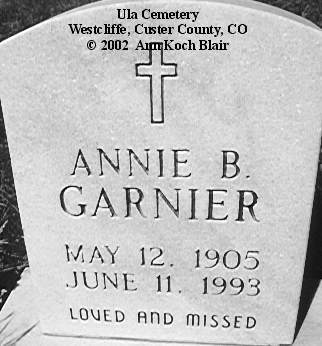 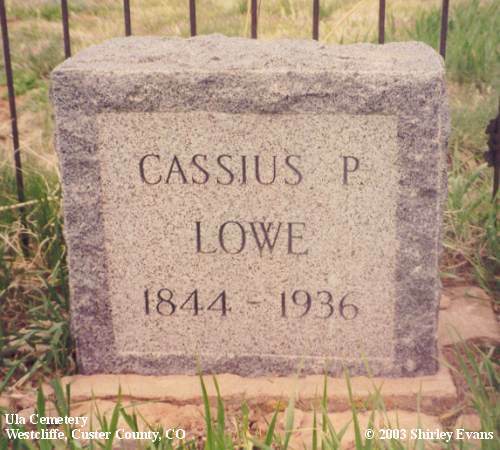 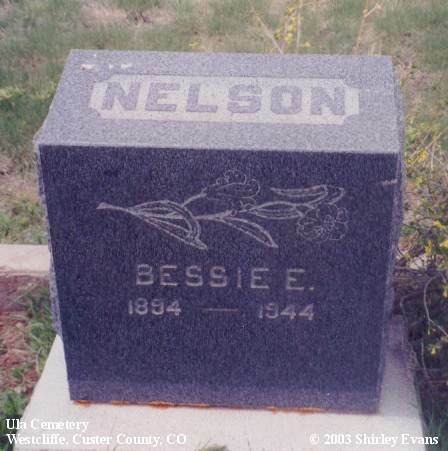 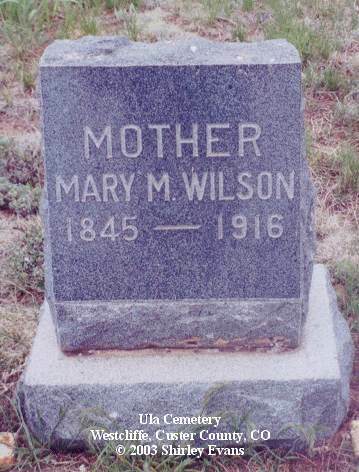 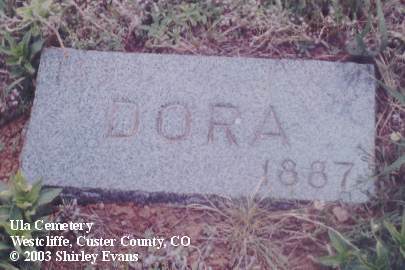 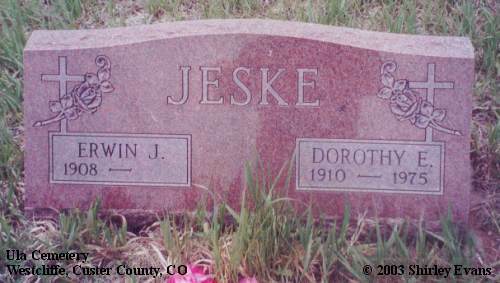 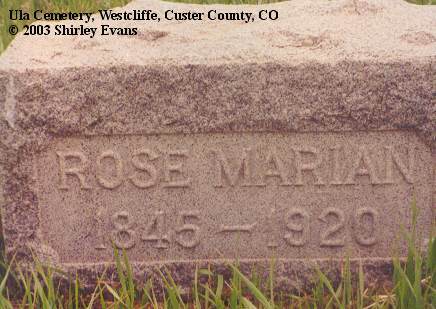 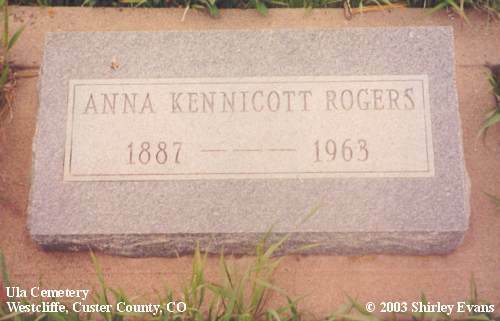 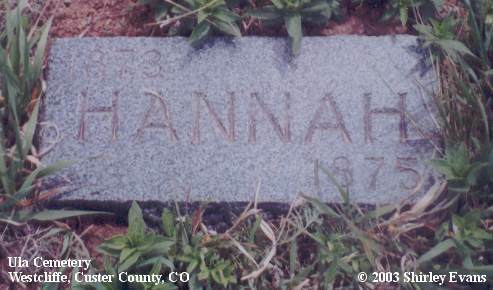 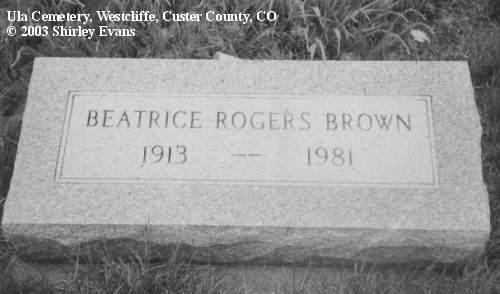 She has a historical cabin named after her at the base of the Conquistador ski area located in Custer County just outside of Westcliffe, Colorado. 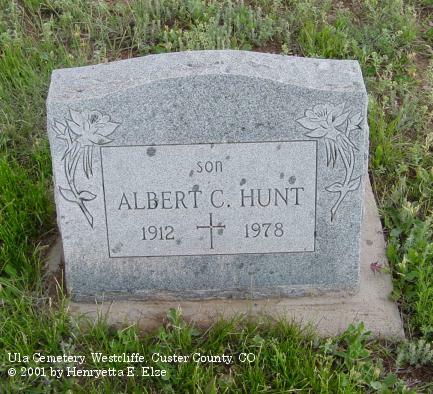 Mrs. Hunt lived in the cabin until 1977 then went to a nursing home where she died in 1980. 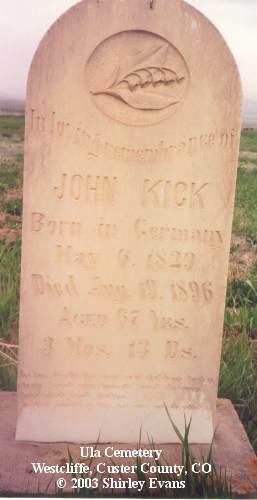 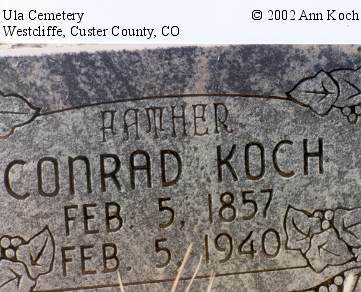 Conrad was the son of Frederick & Elizabeth (Noll) Koch; husband of Mary Hannah (Topliss) Koch. 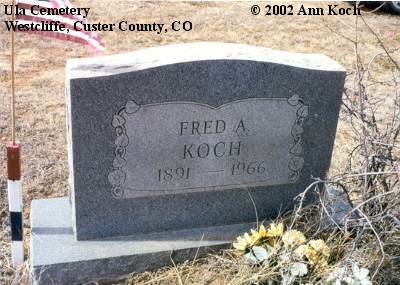 Son of August and Mary (Noll) Koch, born 11 Feb 1905; died 20 Apr 1930. 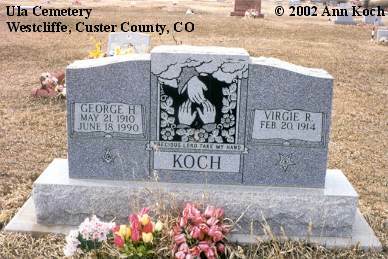 George H. was the son of August & Mary (Noll) Koch. 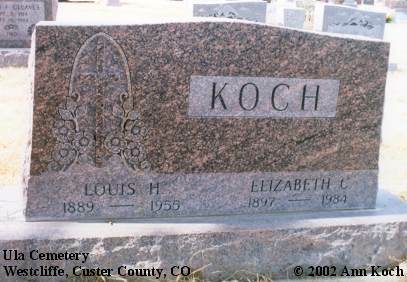 Louis H., son of Peter & Lena P. (Knuth) Koch, born 17 Nov 1889; married Elizabeth Blei. 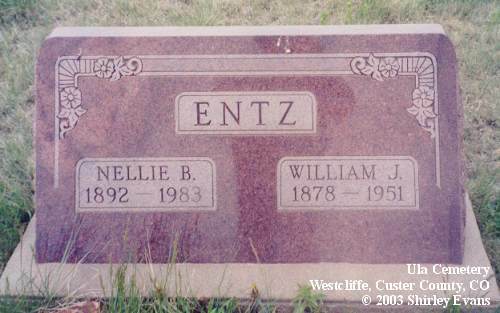 Elizabeth C., daughter of Carl August and Walburga (Frank) Blei, born 10 Mar 1897, died Mar 1984. 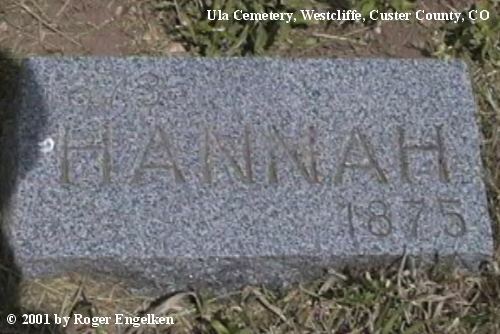 Mary Hannah was the daughter of Samuel & Mary (Tempily) Topliss; wife of Conrad Koch. 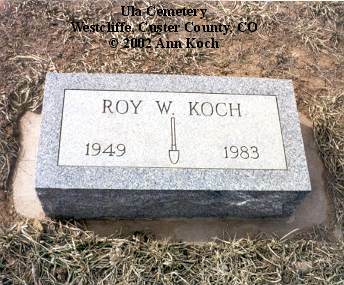 Roy W., son of John & Dorothy (Adams) Koch, born 5 Jul 1949, died 27 Oct 1983. 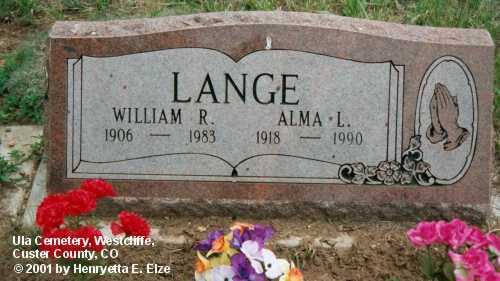 Alma L. (Elze) Lange was the daughter of Otto and Laura Elze, and mother of David and Alvin Lange. 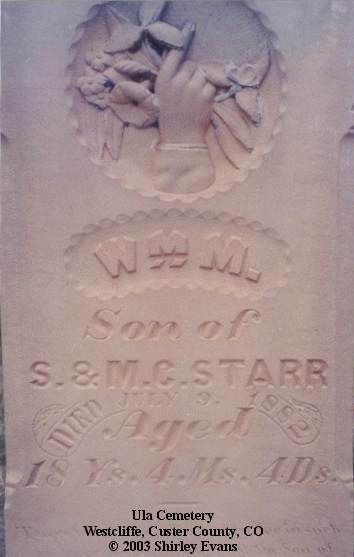 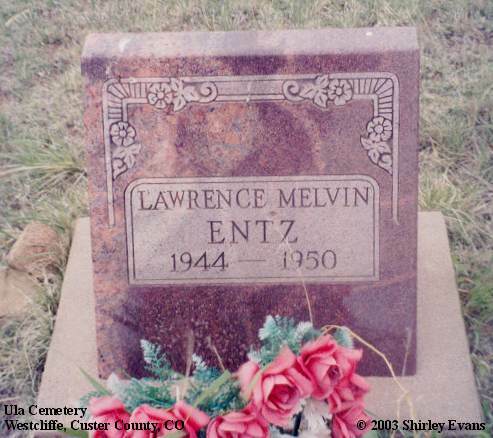 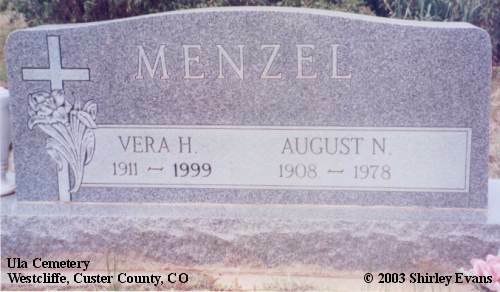 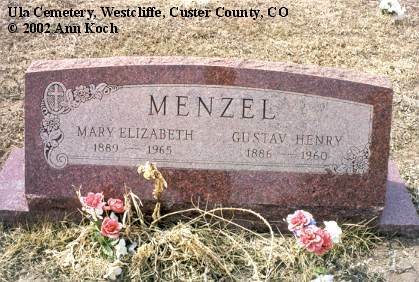 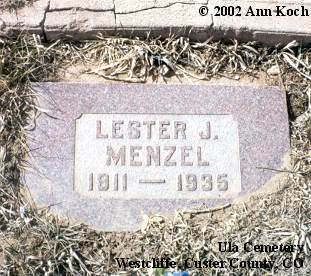 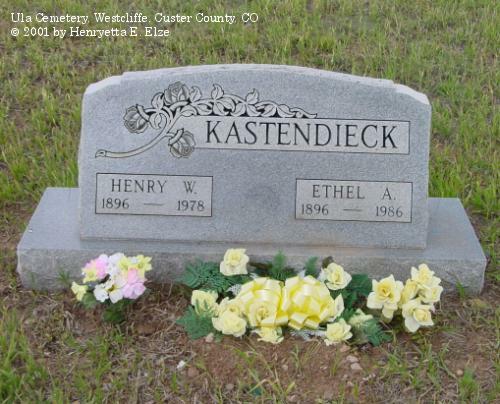 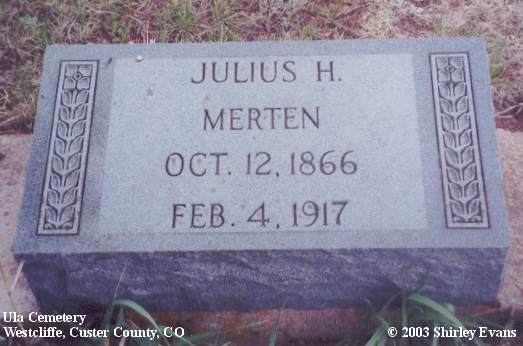 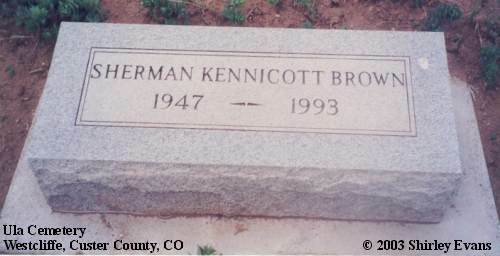 Son of Gustav Henry & Mary Elizabeth (Koch) Menzel, born 15 Oct 1911, died 27 Dec 1911; he and Lester J. Menzel were twins. 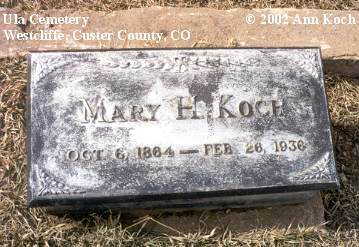 Mary Elizabeth, daughter of Conrad & Mary Hannah (Topliss) Koch, born 25 Feb 1889; died 12 Mar 1965; married Gustav Henry Menzel. 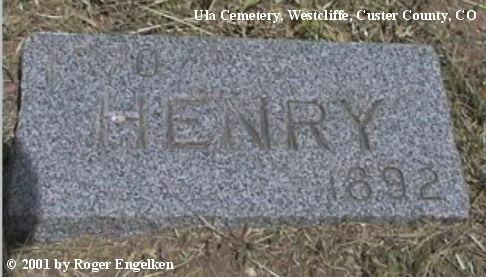 Gustav Henry, son of Paul & Magdalene (Stoerman) Menzel, born 29 Oct 1886, died 28 Nov 1960.